•	There are numerous species of caterpillars grouped under the common name sod webworm. Most are probably insignificant as pests. •	The main species to which damage has been attributed is Eudonia sabulosella and in agricultural environments pasture damage has only been recorded from the northern North Island. The moths of this species fly from late October to February with largest numbers seen early summer. Eggs are laid from mid-November to early February and these are found just below ground level attached to grass or moss stems. E. sabulosella caterpillars are present throughout the year but are more easily seen during winter when they attain their greatest size. They seldom exceed 2 cm in length. 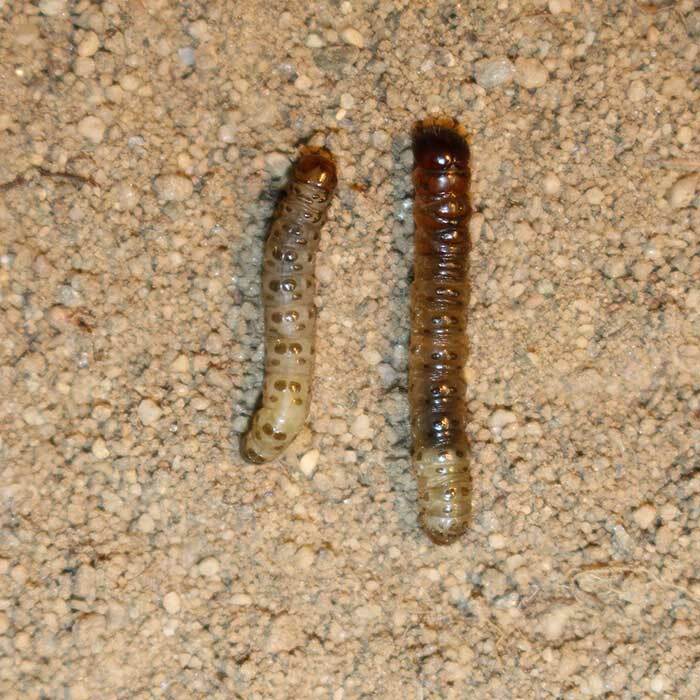 Pupation occurs from late September. There is one generation per year. •	Eggs of other species are scattered over the soil surface or deposited in flight and some may have two or more generations per year. The flight periods of moths of most species are longer in warmer areas compared to cooler regions. Light rain appears to stimulate egg laying and moth activity. •	Caterpillars start their lives where the eggs hatch constructing tunnels using silk to which fine soil particles and pieces of vegetation are attached. Usually these tunnels are on the soil surface attached to plant stems and generally not deeper than 25 mm but occasionally caterpillars can be found as deep as 40 mm in the soil. 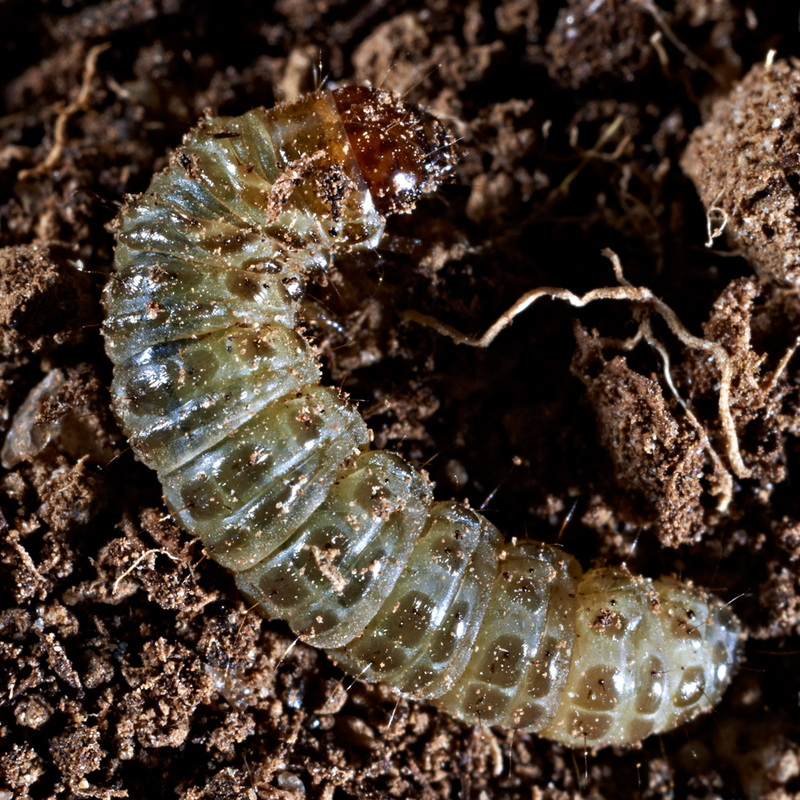 Pupation occurs in the soil. •	Caterpillars are considered moss feeders but they readily take a wide range of grasses, white and red clovers. Caterpillars feed at night and similar to porina the larger caterpillars cut whole blades of grass or other plants at the plant base and take these back to their tunnels. Also, as with porina, this feeding results in bare areas of ground that can be invaded by weeds. 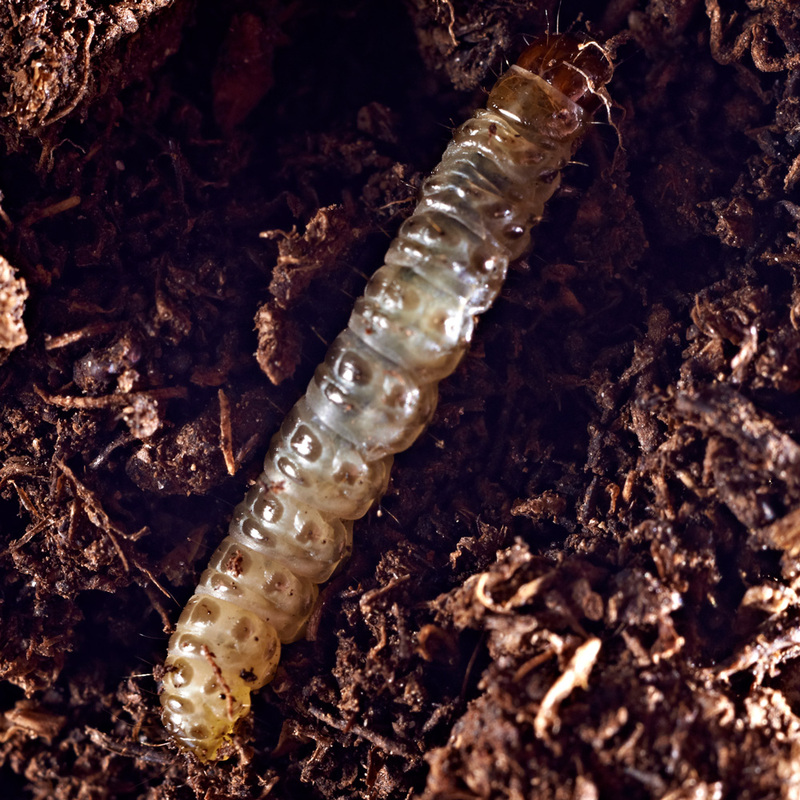 •	Large sod webworm caterpillars superficially resemble small porina, reinforced by both living in tunnels, and this often leads to confusion with identification. The easiest way to tell the two pests apart to examine their heads. With porina the head is solid mahogany brown with no patternation. 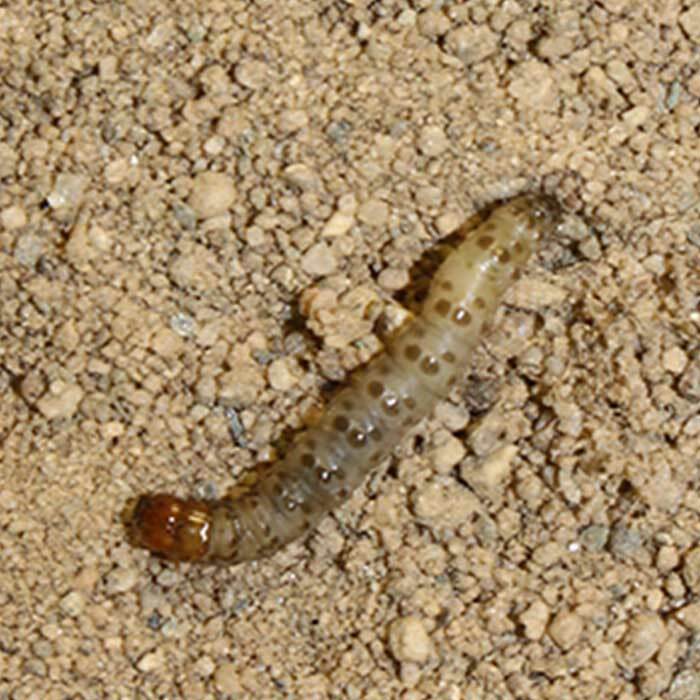 With sod webworm the head is a light brown with darker markings. •	The moths of several species have been observed feeding on flowers of red and white clover, dandelion and manuka. •	Ryegrass, timothy, white clover and red clover are readily eaten by sod webworm caterpillars as are less valuable plants such as browntop, paspalum, prairie grass, sweet vernal and Yorkshire fog. •	Sod webworm only occasionally cause damage to pasture. When caterpillars are numerous enough their feeding and damage resembles that of porina. Like porina they are grazers and can over-graze, and kill, plants in the vicinity of their tunnels. When this happens weed species can invade those areas and cause a reduction in pasture quality. •	In fine sports turfs they can be a more significant issue as damage is much less tolerable in golf greens and bowling greens. •	There are no insecticides registered specifically for control of sod webworm in New Zealand. If insecticide application is considered necessary consult your agrichemical rep. Products active against other pasture dwelling caterpillars may also control sod webworm. •	There are no management techniques to combat sod webworm. However maintaining vigorous healthy pastures reduces the impact pests have on production and quality.